Chop the chicken in chopper, add salt and pepper.Now make the balls of chicken and coat them in flour, then in eggs and in last coat crumbs on it. 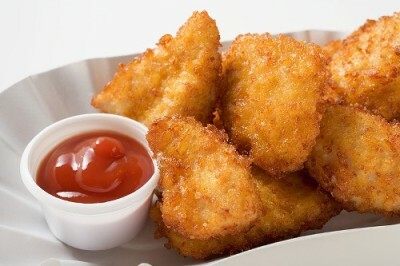 Do this with all chicken mixture. 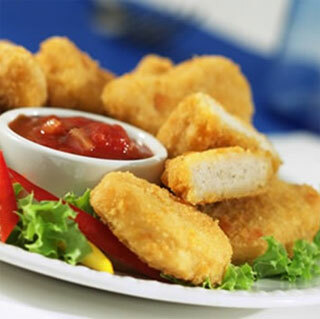 Now turn that balls into nuggets shape with the help of your hands.